Dedicated to discovering the “soul of a tree”, master wood craftsman George Nakashima gave exotic timber a second life. 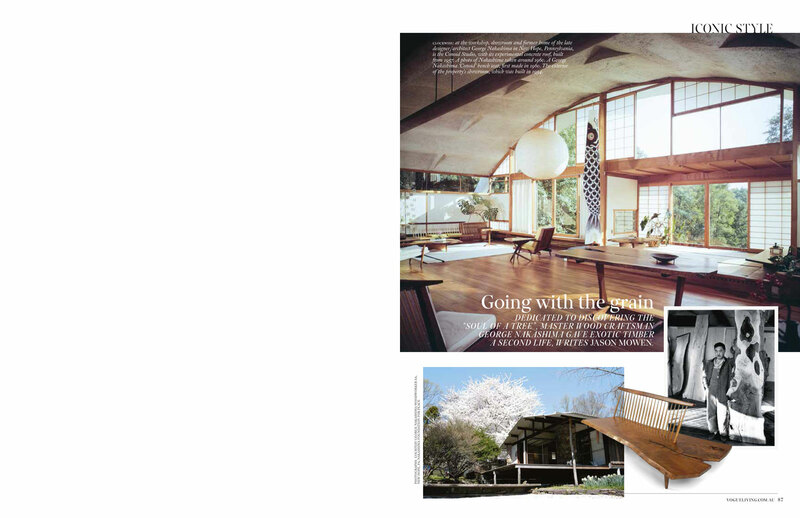 IF ONE DESCRIBED THE LIFE PATH of architect and designer-craftsman George Nakashima as a book, it would most likely be The Road Less Travelled. Esoteric, even spiritual in his approach to furniture making, Nakashima believed in the “soul of a tree” and devoted his life to the crafting of wood in its most natural form. Born in 1905 in Spokane, Washington, to recently emigrated Japanese parents and influenced by the duality of his roots, Nakashima was drawn to the simple craftsmanship of the early American Colonial period, particularly that of the Shakers, as well as what he liked to call his “Samurai heritage”. Forging a path through 20th-century design as individualistic as the “free edge” pieces of furniture he crafted, he was one of the most significant studio furniture makers to emerge from the post-war period. And he has remained significant. Although prices paid for his extraordinarily naturalistic pieces have not been realised since their pre-financial crisis peak, when Sotheby’s New York sold a Nakashima dining table for US$822,400 in 2006, he nevertheless remains one of the most collectible of last century’s blue-chip furniture makers. As is so often the case in the story of mid-century Modernism, Nakashima was caught up in the great artistic diaspora that took place either side of the World War II. With scant hope of securing work during the Depression (he graduated in 1930 from the Massachusetts Institute of Technology with a master’s degree in architecture), Nakashima sold his car and hopped on a steamship to travel around the world. Following a stint in Paris he travelled to Japan, where his arrival coincided with the emergence of the mingei, or folk art movement. He secured a job with Czech-American architect Antonin Raymond, who in 1937 sent him to Pondicherry, India, to oversee the construction of a dormitory at the Sri Aurobindo ashram (where he also became a disciple). With the outbreak of war Nakashima returned to the US via Japan, where he married Marion Okajima before settling in Seattle in 1941. It was not a good time to be Japanese-American. Like thousands of others with Japanese ancestry in the US, the architect, his wife and baby daughter, Mira, were sent to an internment camp in Idahoin 1942. Conditions in the camp were harsh and took a heavy toll on the family, but ultimately Nakashima’s experiences there would prove invaluable in his development as a craftsman. 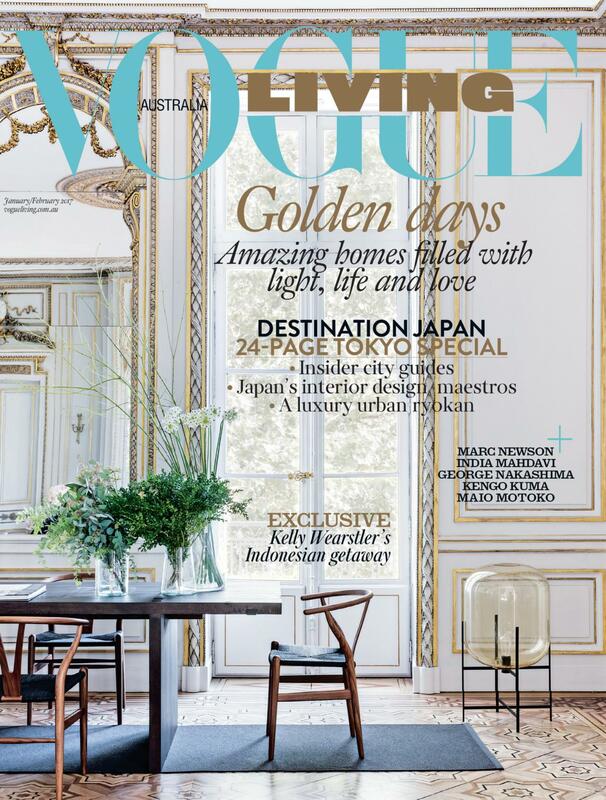 While there, he met daiku master carpenter Gentaro Hikogawa, from whom he learnt traditional Japanese joinery and, most importantly, the discipline and patience required to be a great woodworker. Through the sponsorship of former boss Antonin Raymond, the family was released from the camp in 1943. 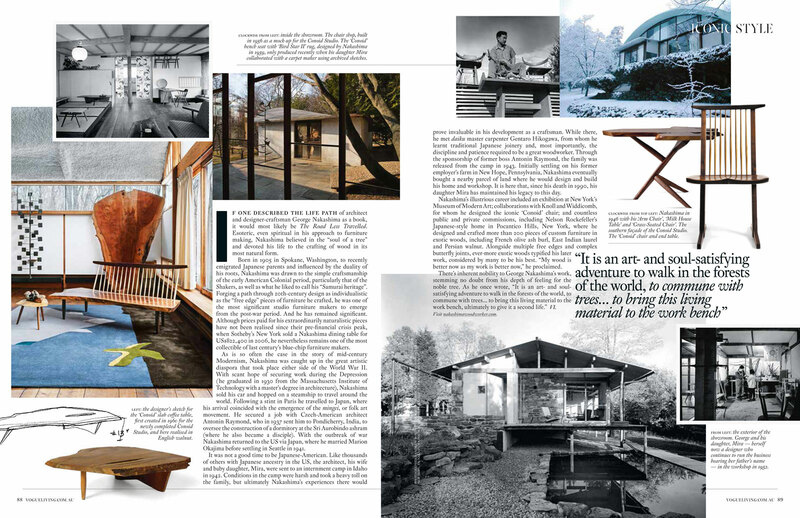 Initially settling on his former employer’s farm in New Hope, Pennsylvania, Nakashima eventually bought a nearby parcel of land where he would design and build his home and workshop. It is here that, since his death in 1990, his daughter Mira has maintained his legacy to this day. better now as my work is better now,” he proclaimed.